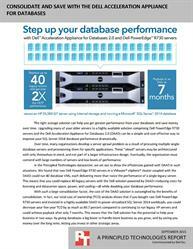 DURHAM, NC--(Marketwired - September 28, 2015) - Principled Technologies (PT) investigated the performance and cost benefits of the Dell Acceleration Appliance for Databases (DAAD) 2.0 with Dell PowerEdge R730 servers. 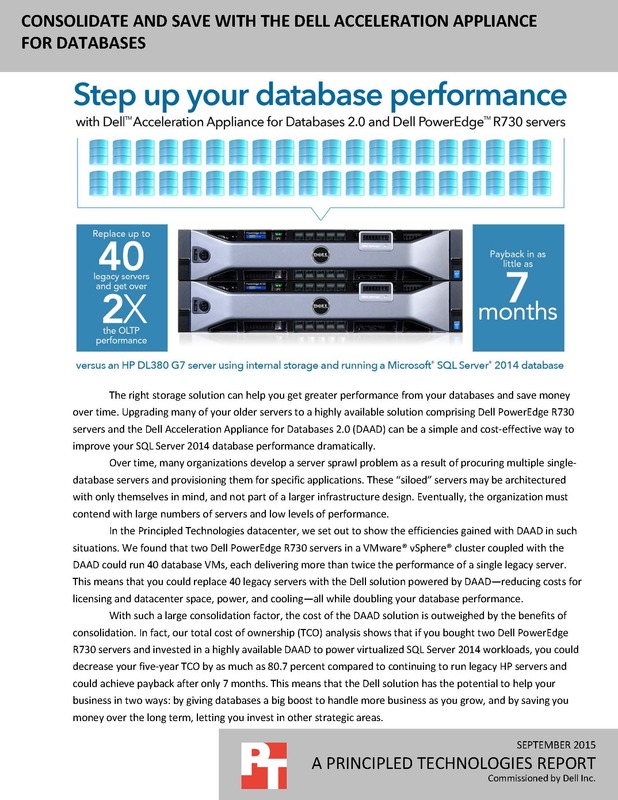 PT found that not only could you replace up to 40 legacy servers with this Dell solution, powered by DAAD 2.0, but you could also double your OLTP performance and achieve a quick return on investment. For all the details of PT testing, read the report at facts.pt/1OYCeyz.